1. How long have you been working in online gaming and what got you into the industry? I been using online gaming sites since 1998 when I starting betting with my mates in Sweden while watching football games. It added some extra spice when watching football games. Also, the convenience of placing bets from your computer instead of going to the bookie was just superior. Later in life I was working in a Casino in Sweden as a croupier. From there I explored the world of Poker and managed to become a professional Poker player and do that for two years. Poker somehow got me to Malta and here I ended up working for an online gaming site. I been working in online gaming for about 4,5 years now. 2. You previously worked for mainly a poker brand but now have progressed to working with Casumo, how has the transition been and what do you like about the online casino side of business and in working with Casumo? Right, well I learned a lot from working with Poker and Poker affiliates and also from working with great people at my former employer. It was easy for me to adapt to Poker affiliates as I was a former Poker player myself. I also set very high standards to the service part. I always want to give my affiliates the service that I would expect from my Affiliate Manager if I myself was an affiliate. The transition to working with only Casino affiliates have been very smooth. I believe that if you are prepared to work hard, give your affiliates top class service and have experience on top of that, people will be happy to work with you. Regarding working with Casumo it has been just great. An amazing company that have grown really fast since the launch. Casumo wants to make things differently and at the same time focusing on having fun and making sure that everything that we do is fun for our visitors and players. I honestly feel and believe that I’m working in the leading gaming company. We don’t look at our competitors but focus on doing things that we believe in no matter what other people in the gaming industry tells us. So far it has been a very well working concept and I’m looking forward to the future and to see what we can accomplish. 3. If you were an affiliate, what type of affiliate website would you start and why? (like casino, casino blog, keno blog, bingo, betting, poker, etc...) If I was an affiliate I would definitely focus on mobile gaming. This is where the industry is heading and it will just keep growing. More and more people use their mobiles to do their daily activities online. Also, the mobile products offered by gaming operators are just getting better as we speak. 4. Casumo seems to be a unique brand and doesn't look like your ordinary casino. Why do you feel Casumo is a unique brand and how do casino players like the brand? I totally agree. Casumo looks and is different from other brands. The main reason is that we are more a tech company than a gaming company. We want to invent and offer fun and unique products to our customers. We offer the players the world’s first Casino adventure. While you play your favourite Casino games, you will advance in the Casumo world. While you advance in the adventure, you move up in levels. The better level you are on, the more and better rewards you will receive. Casumo have quickly become on the fastest growing online casinos especially in Scandinavia. Players do definitely like it. We are also updating and improving the product all the time. I would say that sky is the limit of how popular Casumo can be in the near future. 5. The online gaming industry has changed so much in not just the past 10 years but also recently. Affiliate marketers have had to stay on top of these changes to gain more traffic while others have fallen behind. What advice do you have for affiliates, either new or existing, on what they need to do to be successful given that you have worked with many affiliates and have seen them change and progress? Don’t get lazy and make sure that you work and learn from intelligent people. The gaming industry changes fast so it’s important to be updated at all times through different methods. When changes happen you want to be ready for it. Changes have happened in the past and will continue to happen as this is a very fast moving industry. 6. For affiliates that are not working with Casumo Affiliates yet, why should they join the program and what can they expect when working with you and the affiliate program? 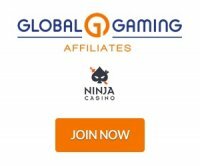 Affiliates want to make money. If they can have fun while doing it, even better. We can offer this at Casumo. Players are active for a long time with us because they have fun when playing at Casumo. When working with me the affiliates can expect the best possible service possible. I’m always available and reply to all emails rapidly and with the correct information. I’m the Affiliate Manager that I myself would like to have in case I was an affiliate. Our affiliate program is improving as we speak. We make sure that you have the latest updated creative to use, constant flow of new bonuses and promotions to update your players about. Also, we have fun while we work together. Sami Kurvinen is the affiliate manager for Casumo Affiliates. You can read our review of the Casumo Affiliates program or join Casumo Affiliates. If you like Casumo Affiliates and affiliate manager Sami Kurvinen you can vote for them at both the Gaffg Awards and the iGB Affiliate Awards. The Gaffg Awards voting ends December 2nd, 2013. Gaffg trusted affiliates can vote for up to 5 affiliate managers and 5 affiliate programs they trust the most. The iGB Affiliate Awards short list is announced December 6th, 2013. Anyone can vote and the awards features many categories for affiliate managers, affiliate programs and affiliates. Sami Kurvinen is up for many awards as well as Casumo.